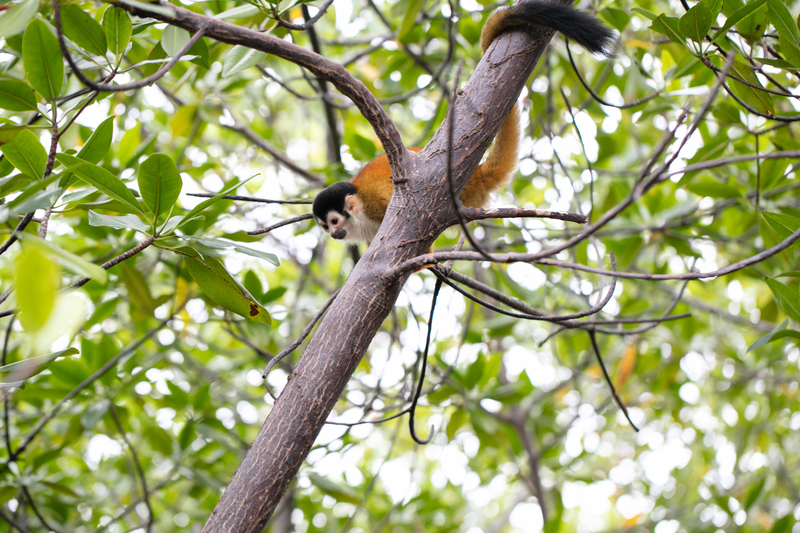 During this educational wildlife tour you will get to meet some of our resident monkeys and learn lots about each of the species we look after. Don´t miss the chance to experience this unique and unforgettable visit during your stay in Bocas del Toro, Panama. All the money we collect from tour entrance fees goes 100% into covering the monkeys expenses (food, enclosure maintenance, visits to the vet, and check-ups). CHILDREN UNDER THE AGE OF 12 YEARS OLD ARE NOT ALLOWED TO COME ON THE TOUR. If you bring a child under the age of 12 it will be under your own risk. They will not be allowed on the island & will have to stay on the boat far from the island to ensure their safety and the monkeys’ safety. To schedule a visit to the foundation, please refer to our tours’ website. There you will find information on how to arrive, and the contact information of some boat captains we recommend for your transportation to the island. 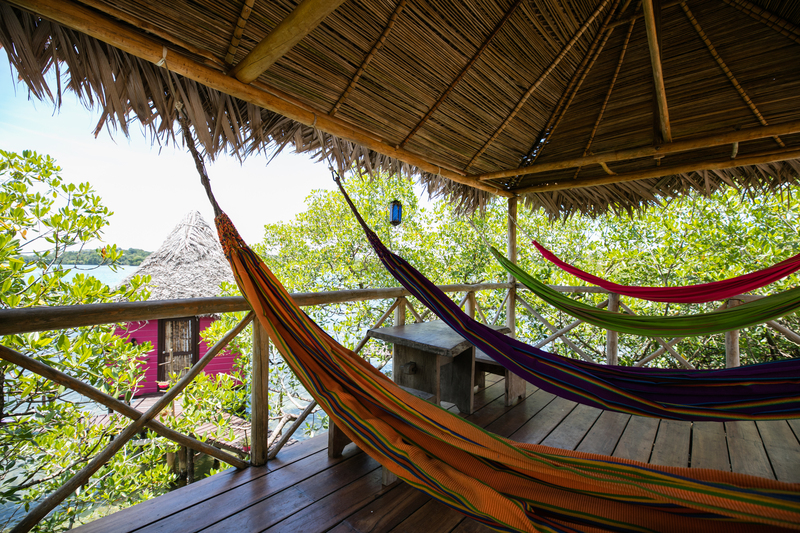 During your visit to the island you can enjoy other activities such as swimming around the island, and relaxing in one of our many hammocks or lounging areas. We offer non-alcoholic beverages for an extra charge. Lunch is available only upon request before your visit. Can anyone come on the tour? No. Besides children under the age of 12, we kindly ask that you restrain from coming to the tour if you are sick or are not feeling well. If you have herpes, tuberculosis, or even mild flu symptoms please don’t come. A disease that isn’t life-threatening for you could be lethal for them. These are wild animals, not pets. We cannot guarantee that they will not bite. However, our monkeys are used to being around people and are very friendly and playful. Our staff monitors the interaction and will guide you in how to interact safely. Is it safe to be around them and touch them? Can we bring something for the monkeys? If you want to bring something special for them, it is always welcomed. Their favorite snacks are dried tropical fruits, such as kiwi, papaya, and mango, and they love unsalted cashew nuts! You are welcome to stay for up to two hours during our visiting hours (between 10 am to 3pm). Are there certain hours we can come to see the monkeys? We only accept tour groups between the hours of 10am-3pm. We begin luring the monkeys back to their cages for the night around 4pm each day. What age children can come on monkey tour? Children over the age of 12 are welcome to come on the monkey tour. What if we want to come on the tour but have no choice but to bring our small children along with us for our excursions? If a group sho+ws up with a young child, we have two options. We either do not allow monkeys out to play and they are only viewed through the enclosures or a parent must stay on the boat with the small child and the boat stays slightly offshore. The adults can rotate to allow each of the grown-ups an opportunity to meet the monkeys. Why do we have to pay for the tour? The monkeys are very expensive to care for. Your entrance fee helps us to provide for them and contribute towards their food and vet bills. Do you offer food or drinks for purchase during the tour? We do have a drink menu for purchase. We can sometimes offer lunch, but it should be scheduled with us prior to your arrival. No. We kindly ask that you refrain from bringing your own food and drinks onto the island. Some foods are not safe for the monkeys and will be tempting for them. Only foods and drinks purchased from our restaurant can be consumed here on the Island. If you wish to take a dip during your stay here, you are welcome to. We have a beautiful natural swimming pool (the sea). We encourage you to wear your swimsuit on your visit and remember to bring a towel, as they are not provided.